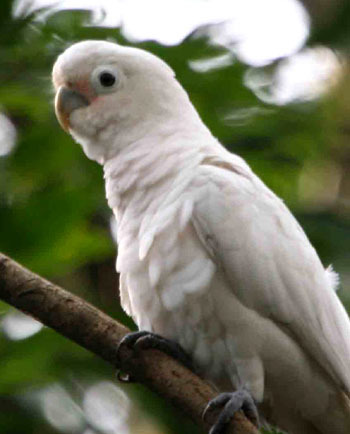 One way to measure a bird's' intelligence is to see how tough a puzzle she can solve -- and in the case of a Goffin's Cockatoo, it turns out she is very smart indeed! As parrot-owner know, birds are clever at figuring out ways to unlock their own cages. But what about a multi-stage puzzle -- one in which the steps can be re-arranged? Researchers devised a fiendishly complex problem for their intelligent subjects, a puzzle requiring birds to dismantle five interlocking mechanical devices -- including laboriously screwed bolt -- to get a delicious cashew nut hidden in a transparent box.Out of six birds, Pippin turned out to be the smartest. Using both beak and claw, with no prior training, this ingenious animal managed to solve the puzzle within five 20-minute trials. Five other birds managed to figure it out, although some birds were clearly smarter than others. But the experiment was more than a intellectual "beauty contest." By studying the way in which the birds approached the puzzle, researchers were able to gain insight into the problem-solving abilities of these amazing animals. Using a human-like reasoning process, the birds followed a trial and error approach, sometimes stubbornly fixated on a wrong idea that had to be changed in order to move forward. Once the birds figured out a puzzle they had no problem solving it again next time, showing they were learning every step along the way. The birds showed a clear understanding of the mechanical linkages, and skipped unnecessary tasks. You can watch the process for yourself on these amazing videos here and here. How smart are your birds at the local feeder? 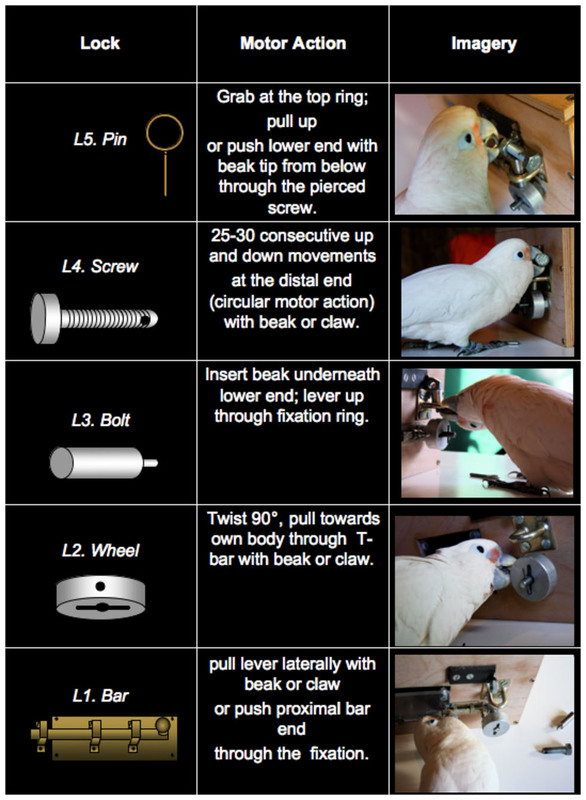 With a few dollars worth of spare parts and a video camera, you might find the next bird genius to be published in PLOS ONE open journal -- or at least on BirdMinds!